1. 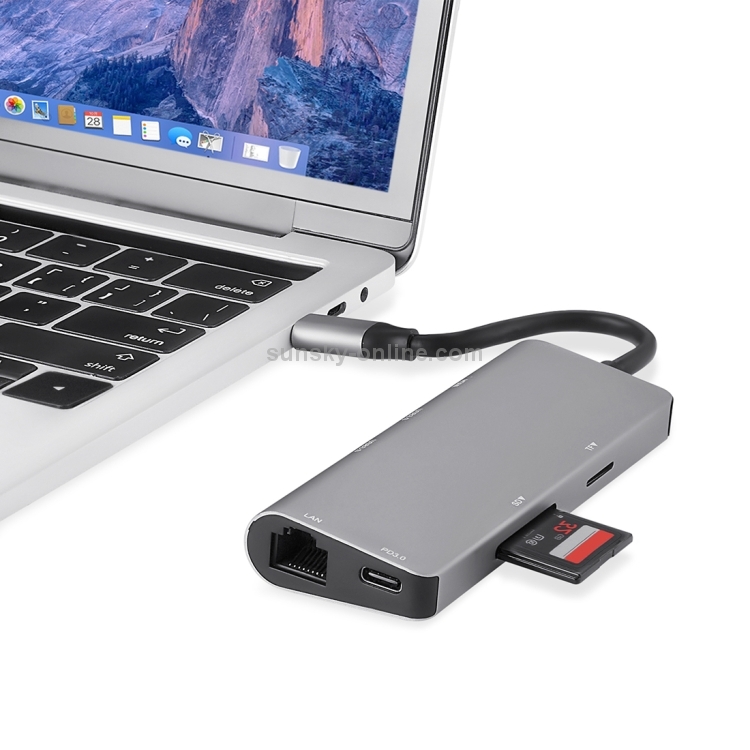 Connect to the Web and add extra peripherals to your computer with this USB-C Ethernet hub. 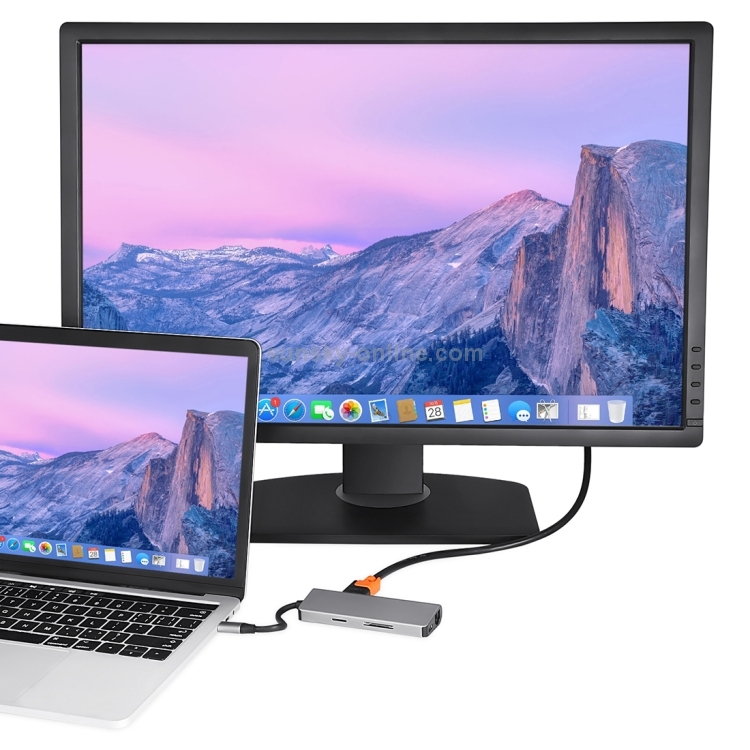 The USB Type-C charging port provides up to 60W of power for charging a laptop, and its HDMI output supports 4K high-definition displays.Via RJ45 Gigabit Ethernet port ensures reliable internet connection. 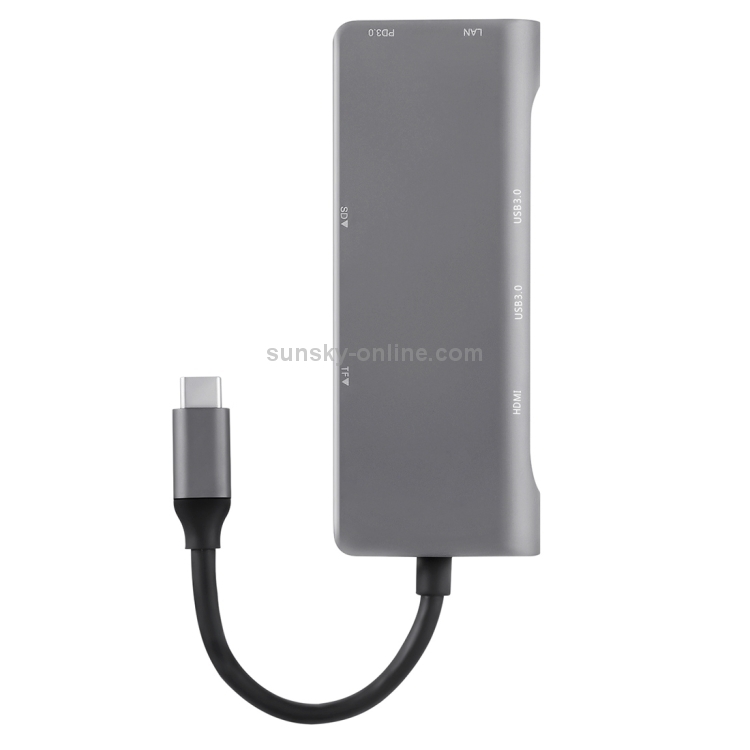 USB 3.0 port and card reader for efficient use. 2. RJ-45 port delivers Gigabit Internet speeds network access and digital signal transmission. Data transfer rates up to 1000 Mbps ensures a reliable Internet connection that's ideal for playing games, streaming movies or surfing the Web. 3. Mirror or extend your screen with HDMI output and directly stream video to HDTV display, monitor or projector. 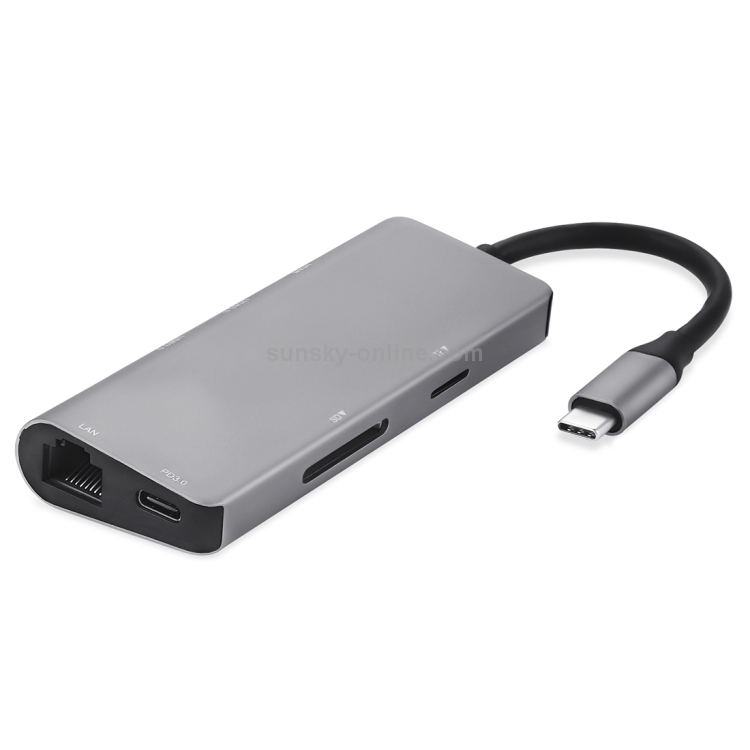 Supports UHD 4K@30hz, Full HD 1080P@60Hz or 3D video. Never worry about blur, distortion and delay. 4. 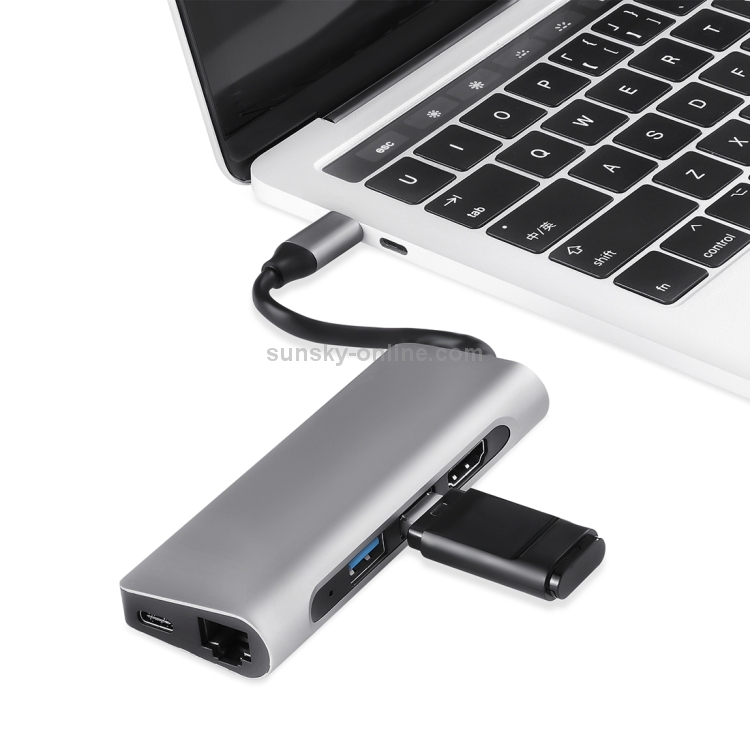 The USB Type-C port supports up to 60w of power for charging a laptop,auto adaptive voltage between 14.5V/20V. 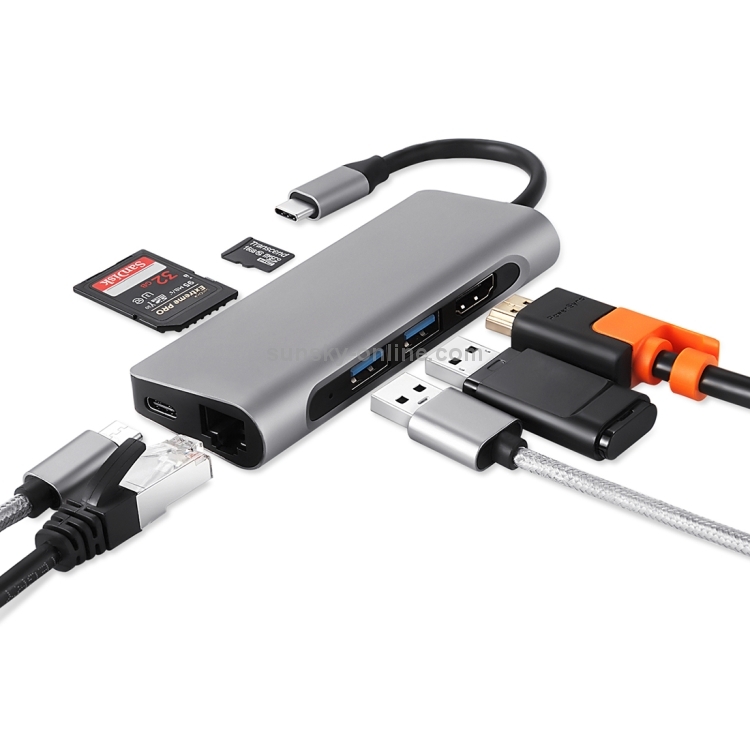 USB 3.0 ports allows you to connect two USB 3.0 devices to your computer such as flash drive, hard drive, keyboard, mouse, printer, USB sticks. Built in SD slot for inserting your memory card to upload data.